Welcome to YOUR MBLL website! Little League Baseball - since 1958! Please Come Join The Little League Family Fun since 1958 for boys and girls ages 5 through 14. 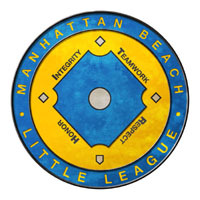 Play Where Your Classmates, Friends & Neighbors Play - In The Manhattan Beach Little League!